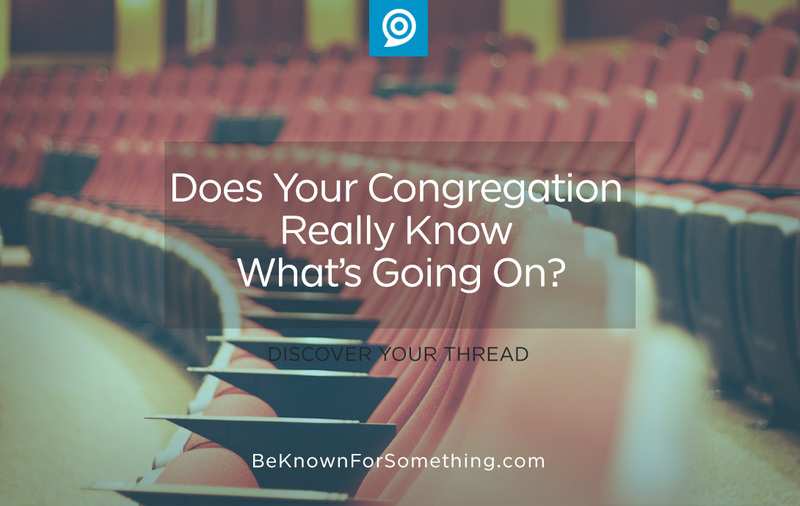 Be Known for Something : Discover Your Church Communication Thread / Announcements / Does Your Congregation Really Know What’s Going On? It happens all the time. Someone in your congregation sees you and asks about an upcoming event or a regularly occurring ministry. They have no idea if it’s happening. What’s scary? It was just announced in the service PLUS someone crafted a paragraph about it in the bulletin that’s tucked in their Bible. People don’t know. Even more scary? Some of your church staff doesn’t know either! Get Your Website Fixed. Almost everyone (from age 3 to 73 or more) is used to online information. Most organizations have stopped (or diminished) printed documents to promote. Sadly almost two-thirds of the people who receive a bulletin don’t read it. People look to websites (via google) for information! Therefore, every church needs a simple, professional, well-organized, and informative website that works as well on a small mobile screen as it does on a desktop display. Ensure these pages are worked on first: About, Calendar, Connect, and Serve. Why? They’re usually the top pages for congregation and community. On the Calendar page, ensure ALL events are listed with a link to connect to details including registration. Bonus points if you can filter the search for demographics and ministries. Make it easy for everyone! Make Sure You Know First. Now the trick. YOU (or your comm team) needs to have a process where you are sure you have all events on the calendar as early as possible. Details can come a bit later, but every ministry leader needs to know who they funnel information to so it gets on the calendar. Easier said than done! Stop Wasting Time with Irrelevant Announcements. Once people start ignoring announcements in a service, its hard to get them to start listening again. So, eliminate every announcement from “general” announcement times unless 85% or more of the people present are invited. 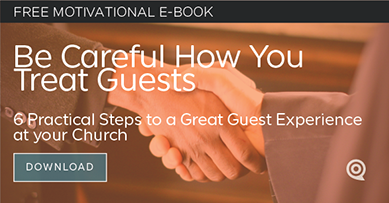 Have other methods of targeting ministries with their events (where they will find the information relevant). Maybe the bulletin, maybe e-blast, or maybe everyone starts hearing that all events are listed on the website ministry pages or on the calendar. During announcement times, always point to the website (if anyone missed anything). And all the event details? They’re never given in the communication (they’re boring any way). Simply get your audience interested with why they should go then point to the website for details. Only Talk Benefits. Did you miss it in point three? You must get people interested about an event before they ever need or want details. No one is thinking “if only there was a church event on Saturday evening I’d go”; but instead, you’ll get their attention with “Are you bored sitting on the sofa another evening? Let’s get together for fun with lots of food? Couples, we have a Simple Game Night happening next Saturday”. Then point them to the website to find out where and if they need to bring something.